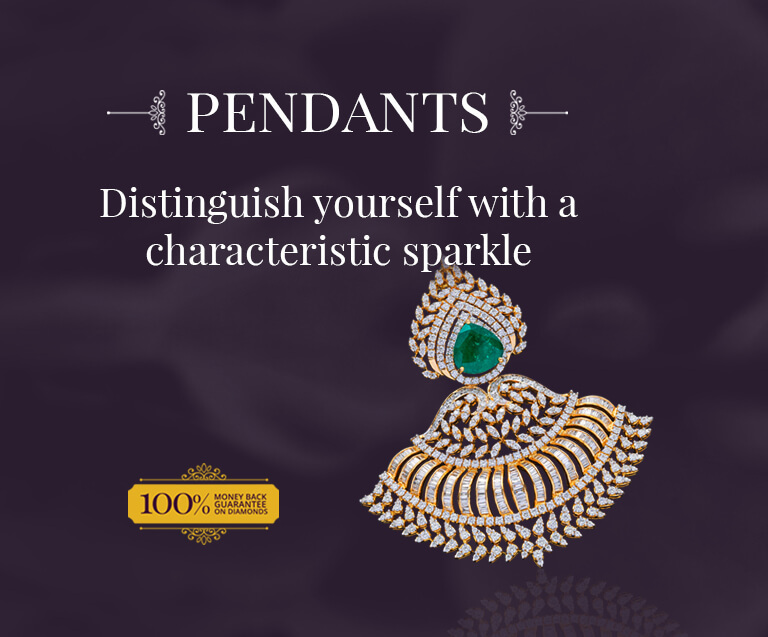 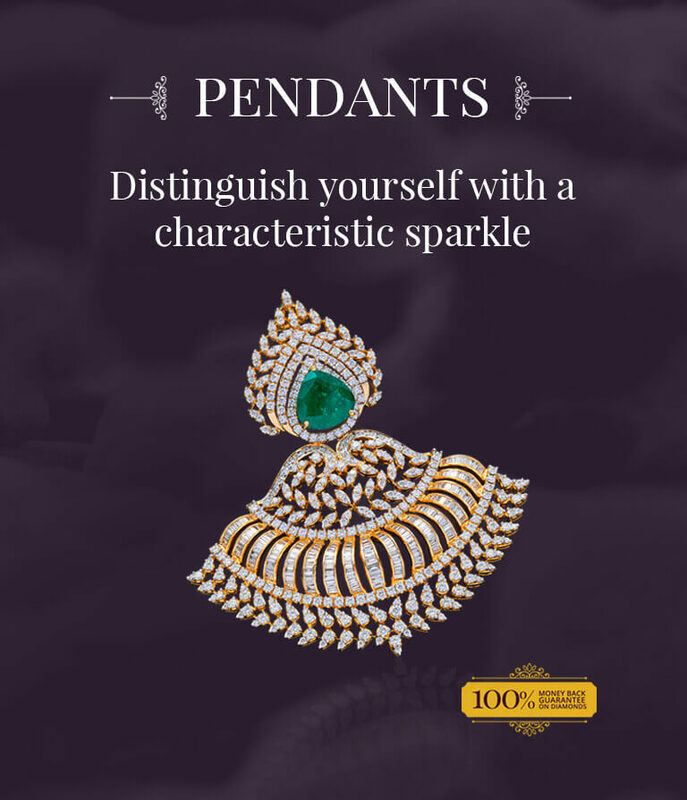 Popular Naga motif nakshi work pendant 22k yellow gold closed setting work Dazzling round cut diamonds and oval shaped emeralds Crowned by three headed naga motif Row of south sea pea. 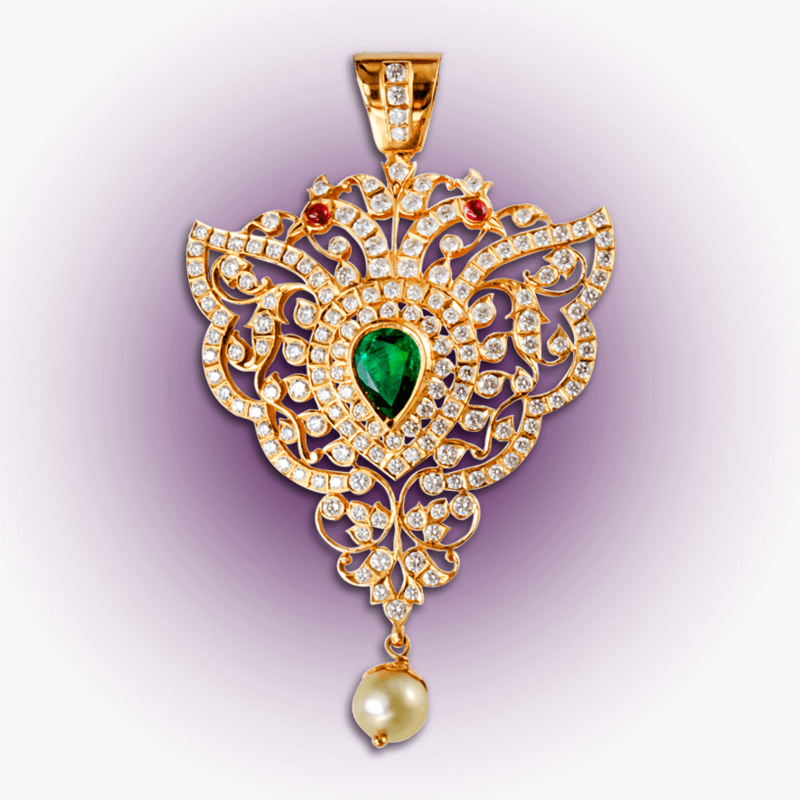 . .
22k yellow gold nakshi work pendant Brilliant round cut diamonds, single pear shaped emerald Captivating south sea pearl droplet hangs below Irresistibly appealing fish motif design . 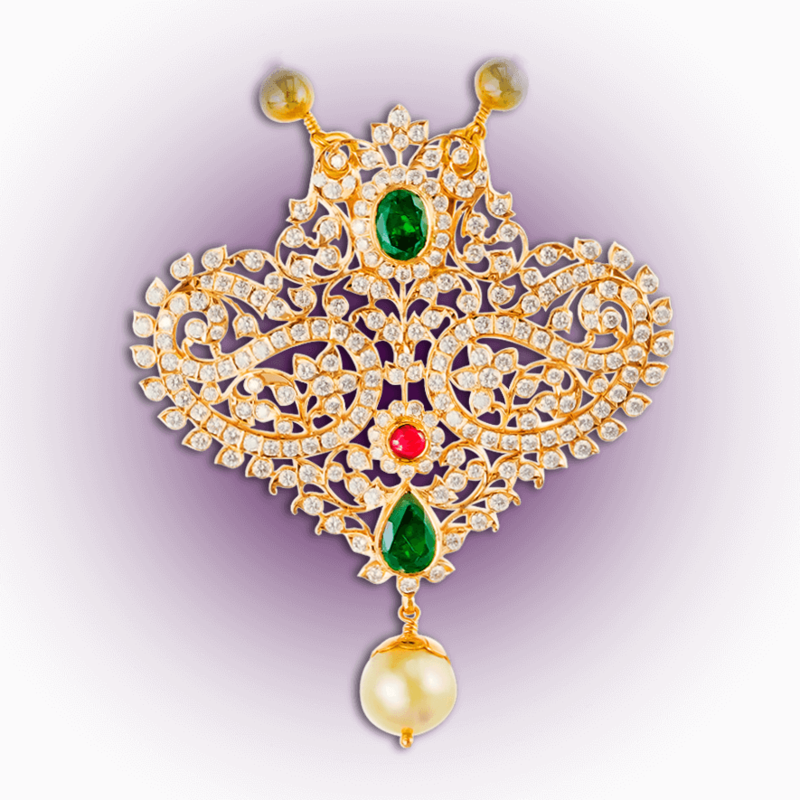 . .
22k yellow gold nakshi work pendant Brilliant round cut diamonds, pink shaded natural rubies and deep green emeralds Captivating south sea pearl droplet hangs below Splendidly symmetrical dua. 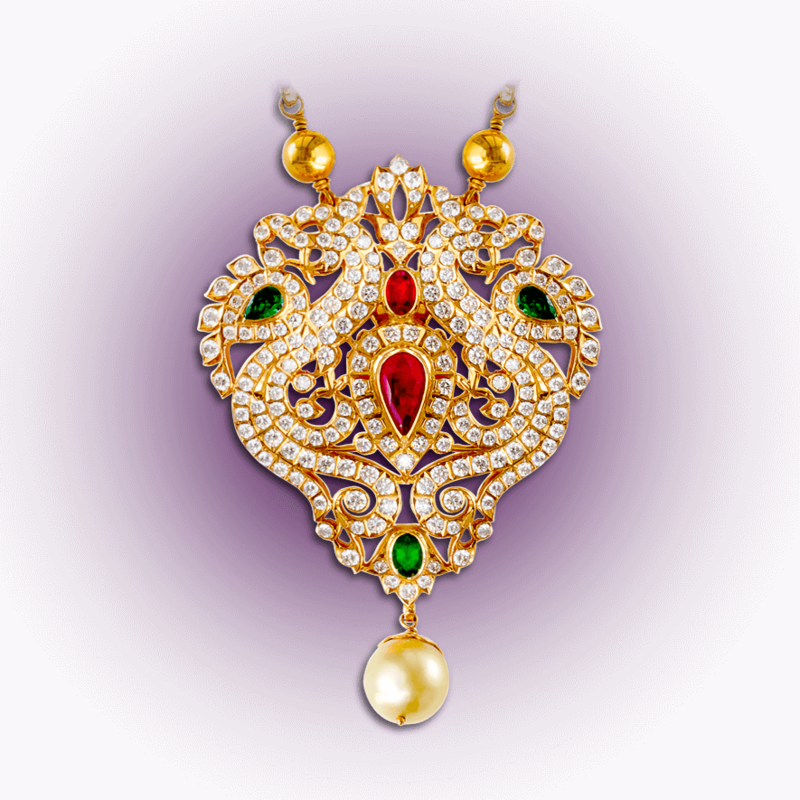 . .
22k yellow gold closed setting Brilliant round cut diamonds, rubies and emeralds A south sea pearl droplet hangs below Refined symbol of heritage and tradition . 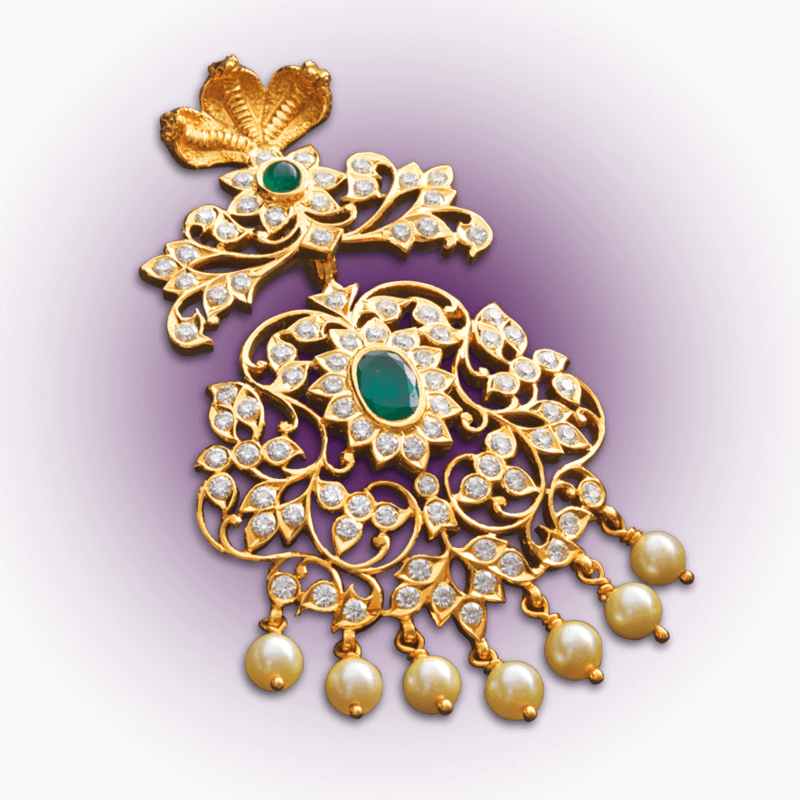 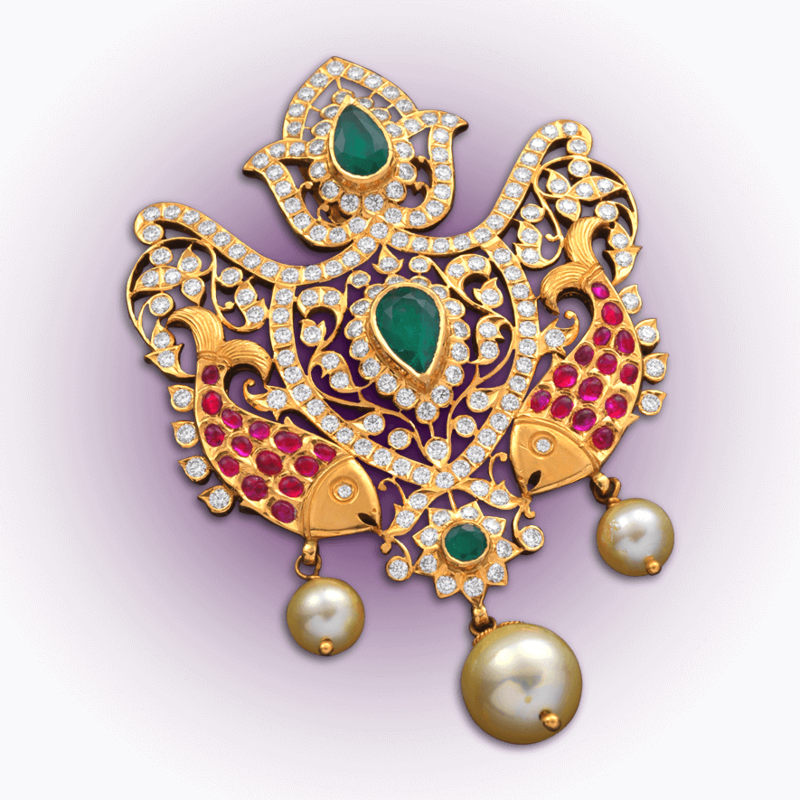 . .
22k yellow gold closed setting Adorned with brilliant round cut diamonds Rubies, pear shaped emerald and a south sea pearl droplet Decorative pendant reminiscent of the spread wings of birds . 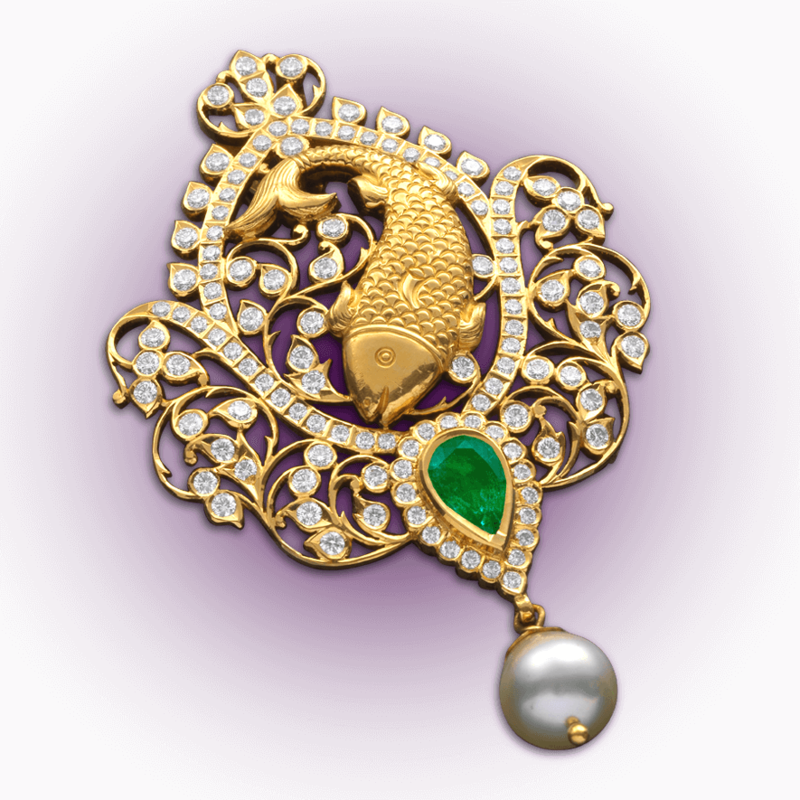 . .
22k yellow gold closed setting Featuring dual mango design Studded with brilliant round cut diamonds Ruby, emeralds and a south sea pearl droplet add flair Held together by chains adorned w. . .